Not feeling up to par? Maybe you've been out of the game for a while, or maybe you just want to try something new? Let's talk snowshoeing. Whatever the reason you can always get yourself in shape for the trails of the Adirondacks. It’s tough to go right out and climb a huge High Peak right from of the box, it’s kind of like quitting being a couch potato, cold turkey... it can be done, but it’s better to ease yourself into it. Why not start small, but not too small. Choose a trail that will get your heart pumping and the blood flowing with a steady climb that isn’t too steep. Start with moderate distances and work your way up, then as you keep progressing look for slightly tougher climbs, or continue to use the same trail until you get your legs under you. Snowshoeing is not as similar to hiking as you might think. Sure, it’s one foot in front of another but you use different muscle groups and the demand on your body is a bit different too. With snowshoes you use your inner thighs and hips a bit differently and those tend to be the sore spots after a day in the woods. With heavier boots for warmth and snowshoes on your feet, the weight is much higher than hiking too, putting more demand on your entire leg as well as your lower back. Creating muscle memory is a good thing when it comes to the transition of hiking to snowshoeing. Below please read about five trails I find to be a great start to the snowshoe season, and with big payoffs as well. These will get you moving in the right direction. They are not an easy approach to getting into shape; these are meant to snap you into shape much quicker and increase your calorie burning potential while on the trail. These trails also tend to be consistent in their condition and layout so that the climb is steady with limited breaks and fewer areas where scrambling may be required. This will keep the heart rate up and the muscles working in a consistent fashion to the top, as well as making the descent much easier on the knees while keeping the pace steady to work the other muscle group needed for a mountain descent. 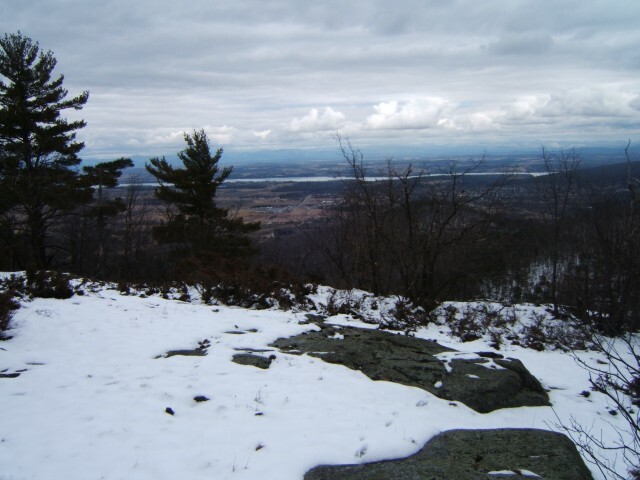 This ever so popular hike to and Adirondack Fire Tower can be found off Route 9N between Keene and Elizabethtown. From the trailhead you will start to climb immediately which will get your head thumping right off the bat, but will then become much easier while still climbing ever so slightly. This will give you time to catch your breath and reduce the heart rate a little before you start a steady climb up the south side of Hurricane. The trail will slowly start to get much steeper but still very steady as you approach a high col. A short scramble up and over a rocky trail will get you to the outstanding views from the mountains rocky summit area. This trail is also located off Route 9N between Keene and Elizabethtown, but slightly further to the east. The trail you will use is also the trail that leads to Giant Mountain from the north. 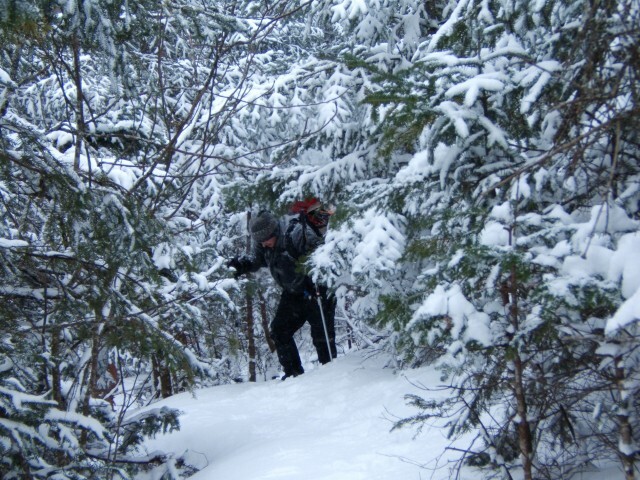 This a 5.25 mile roundtrip snowshoe assault on a smaller mountain in the Giant Mountain Wilderness. The trail is a steady climb that never fails to provide excellent conditions and a consistent grade. From the trailhead you start along an old road before you actually hit the trail, but once on the trail you should be able to pick up the pace and hold an unfailing approach to the mountain. You will start climbing moderately all the way through the forest to the base of the short spur trail to the summit of Owl’s Head Lookout. The short spur trail is very steep and a great way to finish off your fitness trip at the lookout. Enjoy views of the Giant Mountain Wilderness and beyond as you take a short breather atop this partially bald top. This snowshoe can be found off the Whiteface Memorial Highway at the Atmospheric Science Research Center. There is a short descent to the base of Marble Mountain at the bottom of an old ski tow route. The climb here is very steady and what some might call a constant steep. The grade is very consistent as you might imagine for a T-bar lift. After a steady climb of about 1-mile you will think you are on a High Peak, but in fact only part way up one – Whiteface Mountain. This destination with great views out over Wilmington is good enough to get the heart pumping and calories melting off. Climb this mountain twice and you will have a very good workout in and still have time for a healthy lunch. Sure it’s hard to think about doing the Brothers without Big Slide, so I welcome you to continue, but for a great, get into shape, hike for early season the Brothers just might do. From the Garden in Keene Valley you will start climbing immediately up along a ridge as you approach the first of three brothers. The climb to the first brother can be a very demanding one on the legs, especially with no real warmup from the car. A short drop and an additional steep climb will bring you to the Second Brother where more outstanding views await. The Third Brother is a great climb, but has no real viewing payoff. Its separation with the second is much further and the grade is much steadier. Have I got your wheels turning yet? Want more? Check out what other snowshoe trails are in the Whiteface Region. Want to grab a healthy meal after doing so many miles? Wilmington has just the ticket for that healthy appetite as well.